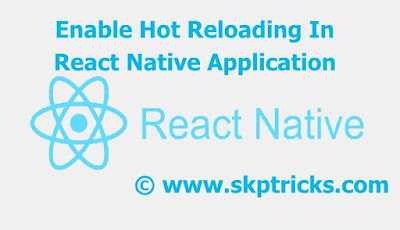 This Post explains how to enable hot reloading in react native application. Hot Reloading feature in react native application helps to display the updated UI Content, whenever user saves anything in react native script or code. You can speed up your development times by having your app reload automatically any time your code changes. 1. First launch your app on the device or emulator. 2. Then click on emulator and press CTRL + M (CMD + M on MacOS) or shake the Android device which has the running app. 3. 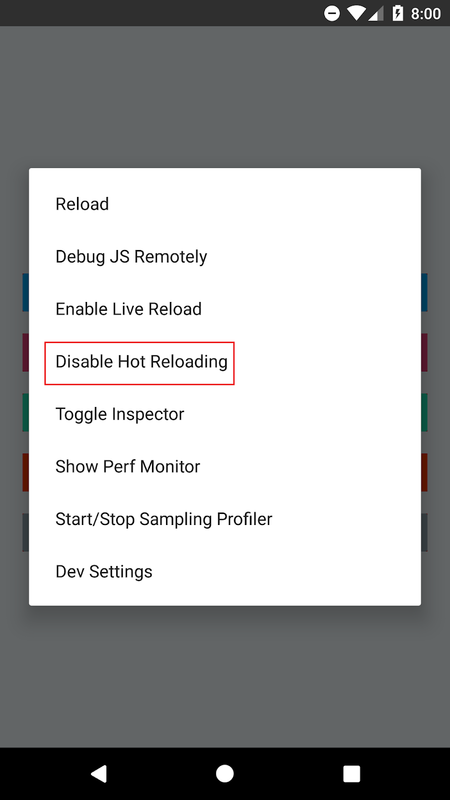 Then select the Enable Hot Reloading option from the popup. 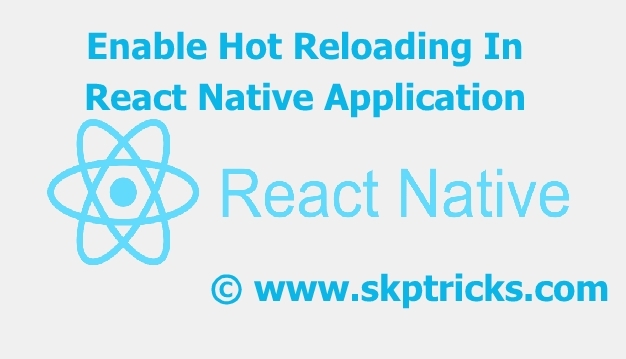 Let us know if you face any difficulties, while enabling Hot Reloading feature in react native application. I add Hot Reload at Component. Click save, then above error pop up. I'm getting the same issue, did you manage to solve this? Which react native version are you using and gradle version ?